Serviceman was very courteous and knowledgeable. Explained what our problem with the ants was and did a careful and thorough job around the perimeter of the house. We will definitely use this company again in the future. Technician name Corey, He was has excellent customer services and he did the work done on time. we're very please!! Have used principally for preventive measures. No pests means they must be doing an excellent job. Always very courteous when onsite. Really excellent service and product in the heat treatment for bed bugs. I would never use pesticide ever again, I would only use heat. As with anything like this it is a headache to have these pests but to have it heat treated and done with is a no brainer. The service was excellent and very professional. I had the best nights sleep I've had in a long time. My tech has been courteous and professional at each visit. He took the time to fully explain my pest issues and guided me through the process at each step. My Exterminator has earned my business. Trustworthy, professional, reliable and effective. West, our Techician does an outstanding and thorough job. Thank you for the quick response for an unplanned appointment request. Arrived within the estimated window. Technican was courteous. Hopefully, the treatment will work. A+ They were prompt, efficient, economical and eager to share their knowledge when they provided services for eviction/prevention related to some unwanted guests in our attic. They were friendly in explaining the roach extermination process. They are professional in their job. My Exterminator is fantastic!!! Fast service next day and Chris was very nice and polite! He was very thorough didn’t just rush around and answered all my questions. I would definitely reccomend My Exterminator! And as of today I haven’t seen one bug since Chris left!!!! Great job My Exterminator!!! Great service, helpful and informative technician. 😀. Highly recommend to anyone else who is looking for an exterminator. Amazingly thorough, competitively priced, clean, flexible with schedule, advised against work I requested that would have made him more money but have not accomplished my goals (IE honest). You answer the phone quick yes great even if you’re not in your office. We were looking for an Exterminator to check out noises in the attic, my father has utilized My Exterminator for several years and recommended them. We scheduled an appointment. The Tech arrived on time ready to go, he was friendly, clean cut, well mannered and professional. He did a complete inspection of our property and to our relief found no signs of critters in the attic. At our request the tech gave us some recommendations to safeguard our property. The tech was straight forward and never tried to up-sell us. We highly recommend this company. Pat in the office was very accommodating of our last minute plea for help with the ants that were taking over our home. Chris showed up the next day right on time and took care of the problem. Two days later, no ants! Great customer service. They came the same day to examine my house. And Bill was very informative. Thank you Bill! Excellent company that gave me sound advice about a drain fly problem. I had another exterminator and two plumbers all of which had no good professional advice and so the problem persisted. This company finally guided me in what to do to get this problem resolved. A huge thank you! It was a pleasure working with Bill and Corey during the treatment of my condo unit. They came out the same day we talked and did a great job getting rid of our bees and wasps. Thanks. Amazing customer service and effective extermination at a very competitive price. We could not be happier with our year round plan and this locally owned business. Thank you Pat, Bill and Zack! See you in a few months for our next treatment. The exterminator was great and very in formative! I’m very satisfied. Thanks! Totally outstanding service!! Cost was reasonable, awesome value. Couldn't be more pleased with results. The follow on offer for pest control maintenance was an unexpected surprise. Another terrific value. Efficient, friendly and most importantly, their treatments keep the bugs away! On time, professional and friendly! We had birds stuck in our vent and they ended up all the way in behind our microwave. Bill took down our microwave and got them out as well as cover outside vents. Highly recommend you use this company 🐞. On time service, no issues so far. 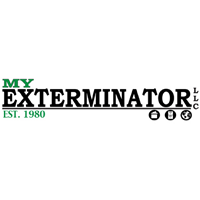 Since starting service with My Exterminator LLC over 5 years ago we have had zero pest problems. Bill has been very interested in details and totally responsive to requests. Great to work with Bill. You provide excellent service. No mosquito bites since you sprayed! Thanks so much! Great customer service. The technician was actually early. I have already recommended My Exterminator to friends. Fabulous service with personable staff. I highly recommend. The monthly Services have worked out great. Our neighbors even comment on the fact that there are less mosquitoes around after our treatments. They were great! Easy to schedule an appointment, very responsive, came on time! Definitely recommend. Fast and friendly service, including some advice on how to repair previous damage. Very satisfied. Wes was great!!! He did more work than i was exspecting. And very professional. Great service. Always a quick response to emails and calls and great service by Wesley!